The house and garden called “La Houxaie” or “Houssaye” were mentioned in the oldest accounts of the town from the late 15th century onwards. At No. 2, the architectural details of the turreted dwelling undoubtedly date back to this period. Indeed, it may even be the oldest house in the town. Tradition has it that Anne of Brittany stayed there when she came to inspect construction work on the castle. 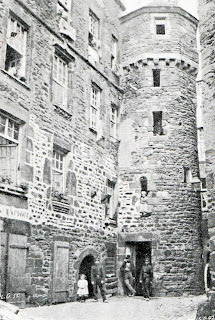 In the late 16th century, this house included a garden and annexes, which were attached to the town wall, and have since been replaced by the current houses there. No. 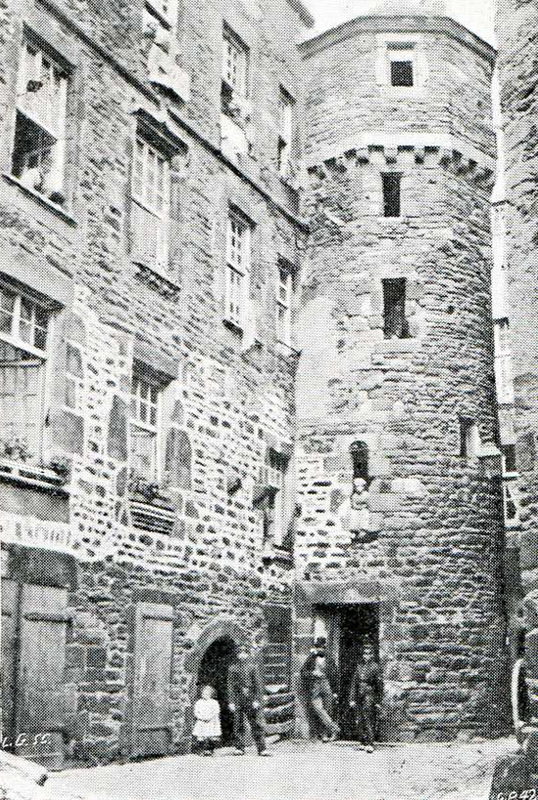 10 provides a good example of a Saint-Malo town-house dating from the mid-17th century with its portal, its cut stone façade, and its small chapel. Inside, a trompe l’oeil painted ceiling has been preserved. At the corner of the Escalier de la Grille steps, an old house displays a bay decorated with a panel of sculpted insets featuring profiles of Jacques Cartier (Saint-Malo 1491 - Saint-Malo 1557) and his wife, Catherine des Granges.